 New premium merch now in stock. 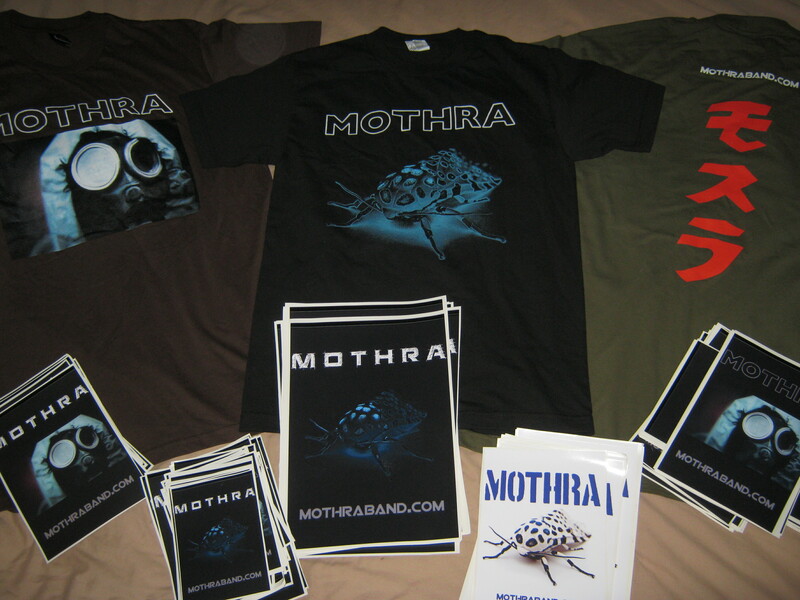 Official Mothra gasmask and Moth tee designs hand printed on quality tees, and some vinyl stickers to put on your car. 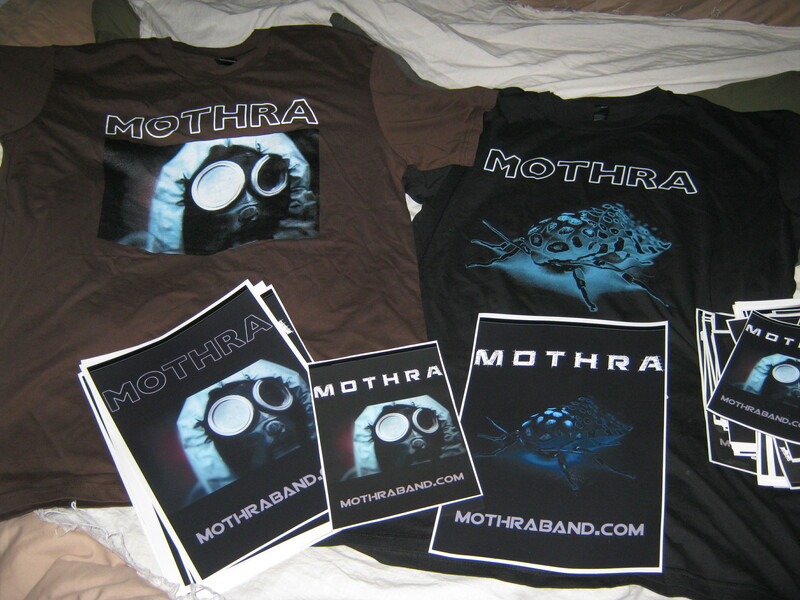 Head on over to our merch site and place an order from anywhere in the world through paypal, easy. 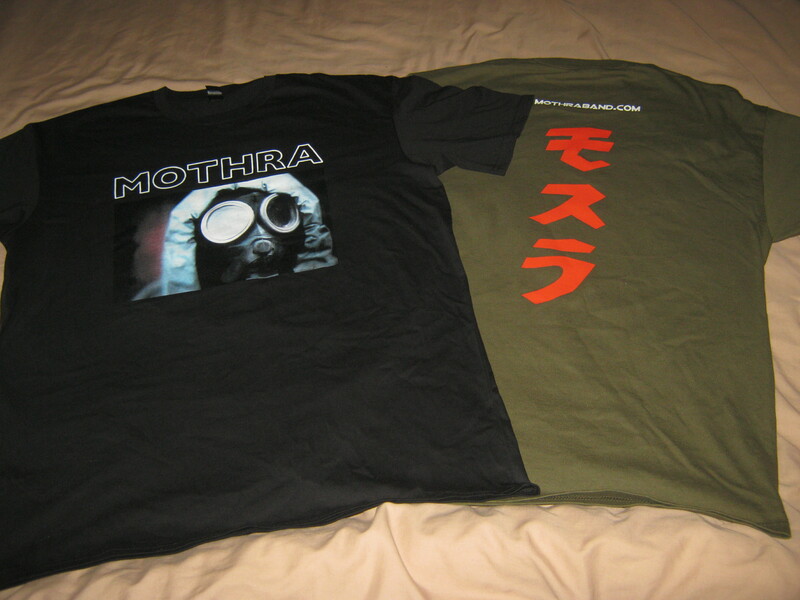 These tees were printed by independent screen printing company Local Traffic. If you live in Auckland and need some screen printing done, this is the place to go to. 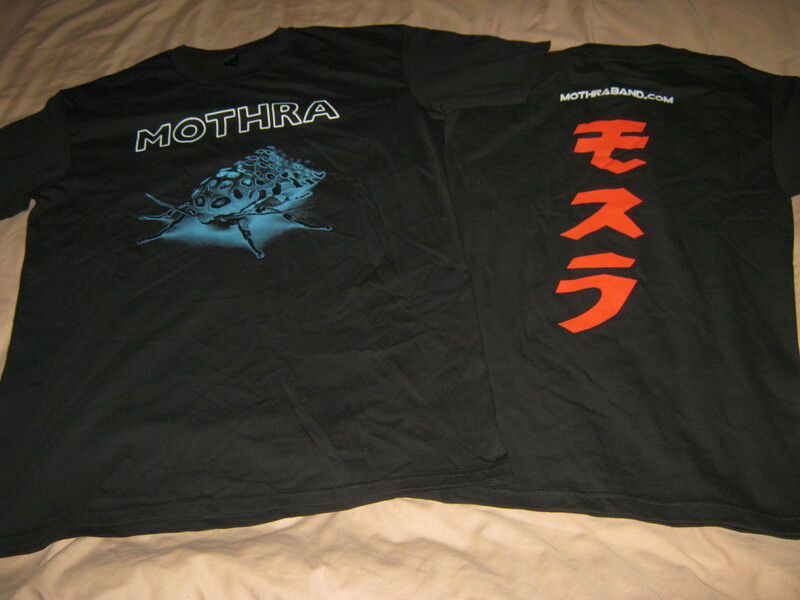 Nice merch and amazing band !